Joanna Underwood Blackburn is a contemporary artist inspired by tribal lifeways and designs of the Southeast. Her modern artwork depicts themes of nature, textures, and patterns. Joanna studied graphic design at the University of Oklahoma where she earned a Bachelor of Fine Arts degree. While there, she was introduced to various art disciplines including ceramic sculpture. This sparked an interest to research her tribe’s pottery. 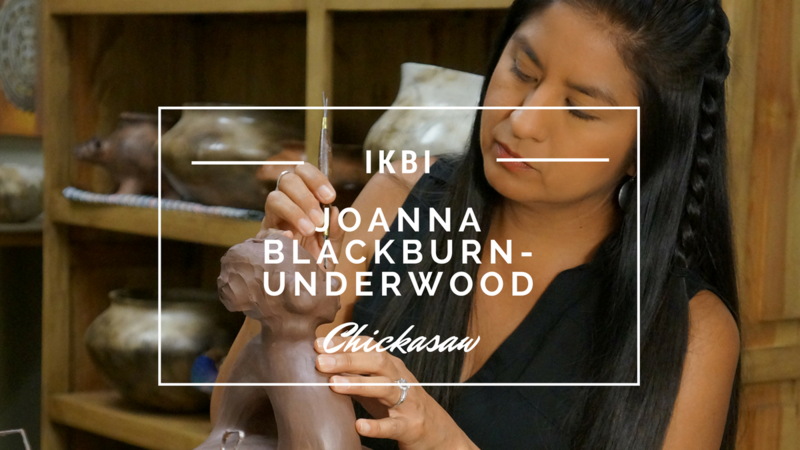 With the guidance and encouragement from tribal members, Joanna was able to recreate and help revitalize the art of pottery making for the Chickasaws. She began making clay pottery in 1994 and later started turning her creations into bronze sculptures. “I hope that these artworks will honor our ancestors and families for many years to come.” Joanna and husband, James Blackburn, have their art studios at the ARTesian Gallery & Studios in Sulphur. Her work entitled “Mississippian Style” was made with Oklahoma red clay that she dug and cleaned. It was made using the hand-coiling technique then smoke fired with cedar branches for the added texture. 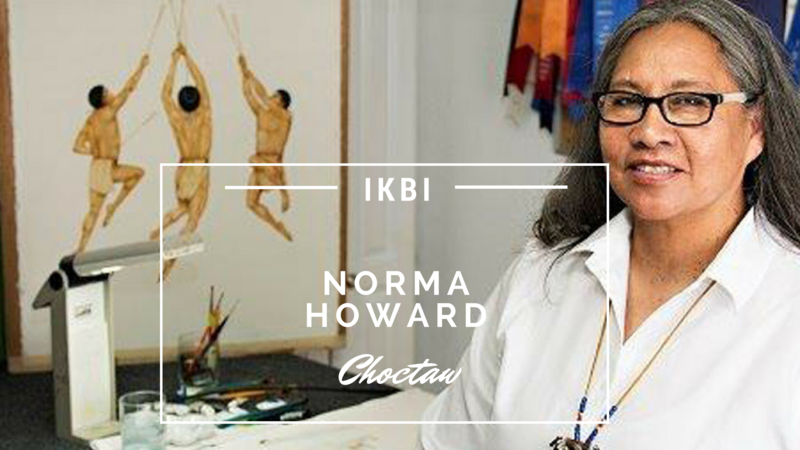 Chickasaw and Choctaw artist Norma Howard is an Oklahoma self-taught artist. As a child, Norma loved to draw and used it as therapy. Growing up, her beloved parents didn’t have the money to purchase things for their children such as bicycles and dolls. So from an early age, Norma found if she drew what she wished for, it made her feel as if she owned the object which she desired. She began painting around the age of 14 after winning enough money in a cracker eating contest to buy a watercolor set at the local Ben Franklin store. Norma didn’t show her work in public until many years later. Her life has never been the same since. A celebrated and favorite artist in the Santa Fe Arts District, Norma’s paintings are heavily sought after. Norma’s watercolor piece, “Choctaw Gathering” is featured in the Ikbi exhibition and shows the great importance of community. An Opening Reception is scheduled for Thursday, June 28th from 5:00 to 7:00 p.m. to celebrate this exhibition, and we’d love to have you there. If you have any questions regarding this exhibition, please do not hesitate to contact me!